MagentoLive UK 2017 is in full swing! The 2-day event began on June 27, 2017, at Park Plaza, Westminster, London. 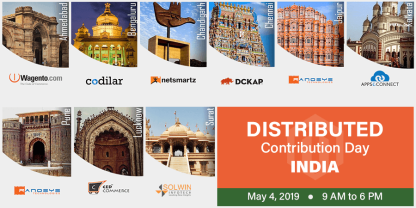 The event serves as the best platform to connect with the entire Magento ecosystem, including Technology Innovators, System Integrators, Web Design Agencies, and Merchants, at one venue. 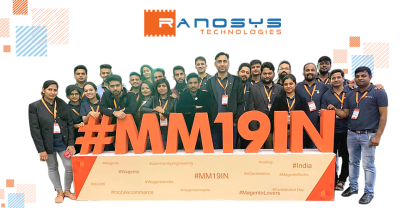 As a Professional Magento Solutions Partner, Ranosys never miss any opportunity to meet and talk to Magento experts and enhance its support processes to the clients all over the world. 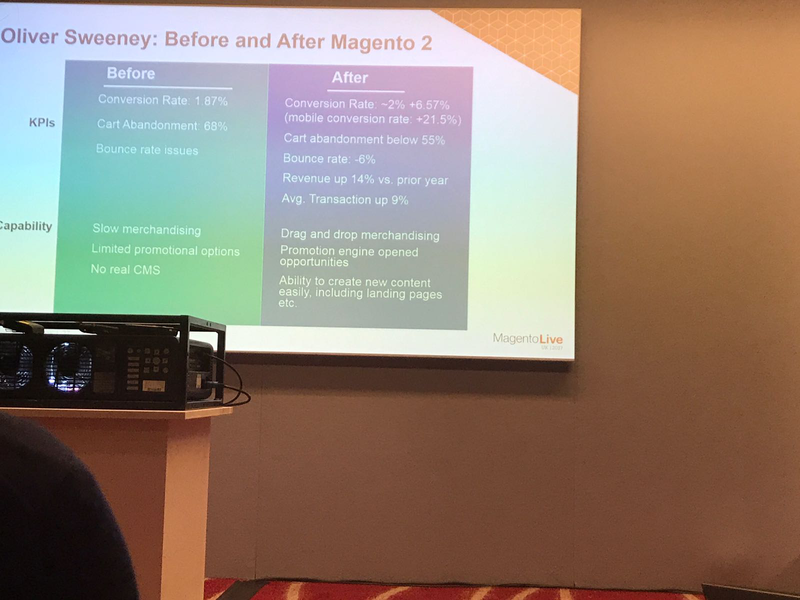 Ranosys participated in MagentoLive UK 2017 for further understanding of the Magento market and provided knowledge and insights to several customers to grow their online business and strengthen their brand value. 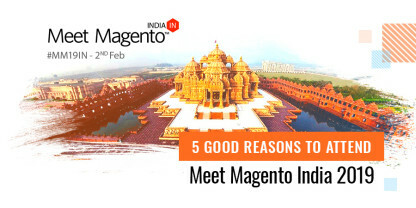 Magento experts exchanged their views on “Understanding the Total Cost to Upgrade on Magento.??? Magento threw light on its comprehensive research findings. The Magento merchants shared their experiences and discussed how to approach a project, minimize upfront costs and risks, and enhance the return on investment. The speakers provided an insight into the Magento Economy and Progressive Web Applications. Gary Specter, SVP, Global Sales and Customer Success, Magento Commerce, presented Magento Solution timeline and also discussed about how Magento (as a platform) is evolving. Two case studies were also presented during the session. One of them was presented by Oliver Sweeney, the London-based premium luxury shoe and menswear. They shared how they overcame the most challenging aspect of M2 implementation, i.e., integration from the POS to CRM and to the Magento. Indeed, it was a fruitful session. Looking forward to Day 2. Stay tuned for more updates! 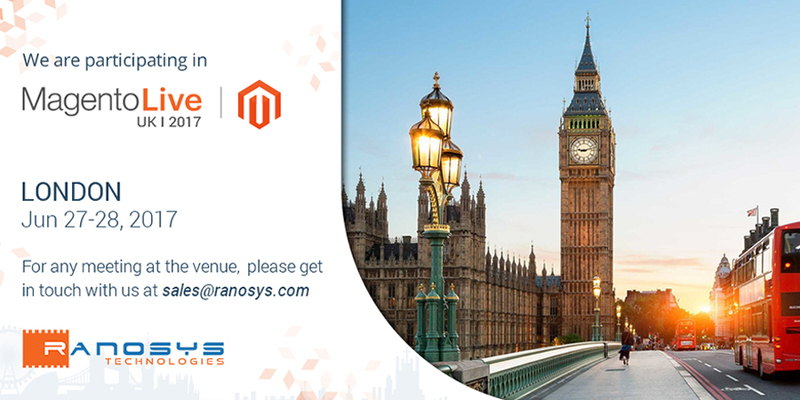 Ranosys, a leading Professional Magento Solutions Partner in Singapore with its international footprint in the USA, UK, and India, has vast experience in offering end-to-end Magento services including eCommerce consulting, eCommerce web and app development, mobility solutions, migration to Magento from another portal, and support and maintenance for the existing platform. We help clients maintain their competitive edge by keeping them updated with the emerging trends in this niche.